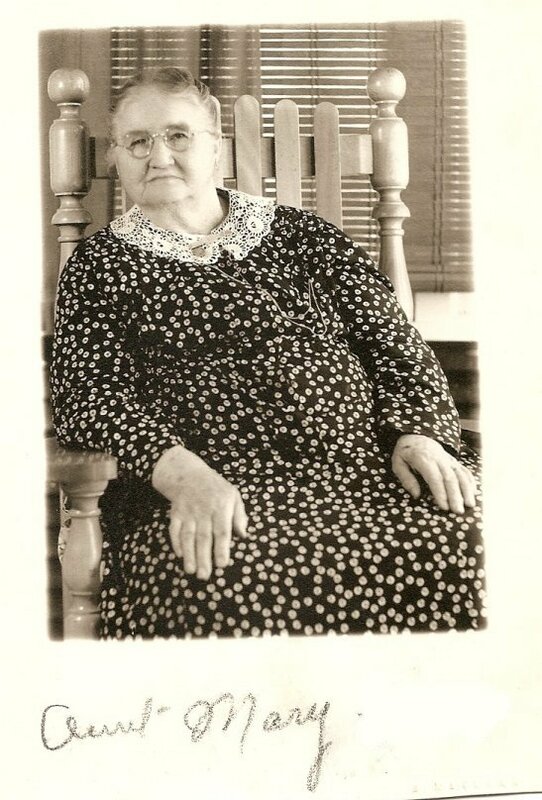 The above is a photograph of my Great Grandmother Mary B. whose son discovered the uranium that was used to enrich the bombs of Hiroshima and Nagasaki. I knew my Grandfather was a miner who helped open up parts of north east Ontario and Quebec but he stuck to golds and metals; this was news to me about the bombs. So it is rather interesting stuff to say the least to consider that perhaps, just perhaps, my family played a role in this horror, however innocent they might have been concerning the ramifications of their discovery at the time. These were not educated people, just explorers and discoverers of what the land might hold. I will be Posting a lot less for the next little while. As many of you know, my Mom passed away just over a year ago. My family is a very old Canadian family that has contributed significantly to the development of the country that Canada once was. Even found one or two of them in Wikipedia! There are also parcels huge families we, my siblings and I, have never heard of let alone met ~ it seems we have a lot of unmet Cajun relatives. As the youngest and final sibling alive of 11, Mom inherited a lot of paperwork and archives. 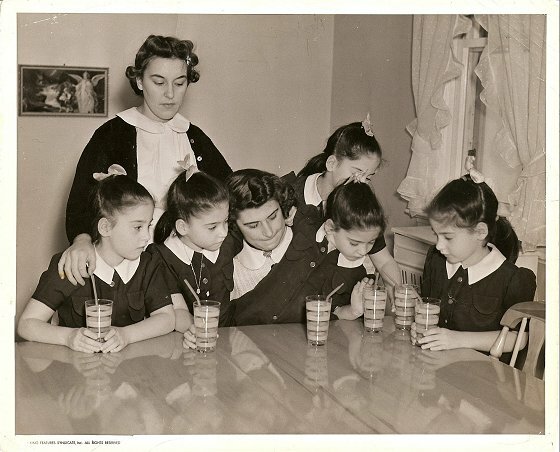 Above, my Mom, (standing) overseeing her charges, the five Dionne Quintuplets, back in the late 1930's. Everyone came to visit the Quints at that time from royalty to Hollywood to politicians to millions of observers. Mom met them all. These family records, boxes and books of old photos and newspaper clippings and records just fell into my lap yesterday. Two stuffed cartons full of albums and loose clippings and heaven knows what else. A good deal of it will go to one or two museums so lots of recording as I stumble along. This is exciting and I am happy to delve in. Right now everything is a mishmash and yours truly has been designated the record keeper of the lot ~ meaning a great deal of organization and sleuthing lies ahead. It is quite exciting to discover the Louisiana Cajun side of the family although methinks political discussion might be ..... challenging? We have already been invited to a clan gathering of thousands next summer so this is also a bit more than mere record keeping. So, for the next little while, dear Readers, postings in here will be a little sparse. But remember, this is only a temporary situation and certainly not absolute! The occasional post will still be forthcoming. Just fewer for this next while. Added note: for all who tell me to go back to my own country, assuming I am Middle Eastern ~ nope. oh man, that is so COOL, Noor! I love looking through the family archives. I inherited lots of old photos from one of my aunts (from my dad's side) before she passed away. Old Georgian clan. From my mother's side they are old Floridian. Miami, the Keys, Hemingway style. My house is just full of hanging vintage photos...never did even put my childrens school photos on the wall....ha! They are stuck in albums. I am SO retro! Anyway, enjoy! We'll miss you, Noor, but it'll be a pleasure to welcome you back when you finish with your genealogical record-keeping. Family history is interesting too; in my family, it's one of my brothers who does it. Ran across this in a search of Dionne quintuplets photos. I am wondering if you mom was a nurse or a teacher of the quints? Hi Lani. Yes Mom was head nurse for them for several years before joining the navy. That is my Mom in the photo above with them. I explain all that in what I wrote there. Noor, what was your mom's name at the time? Doreen Alice Chaput. There is an area around Timmins named after my Grandpere nicknamed after him, a tad disreputable my Mom said. The area, not grandpere although I gather he was quite an entrepreneurial sort ~ for a man with a grade 5 education he raised 11 children those of whom survived all went on to notable achievements.